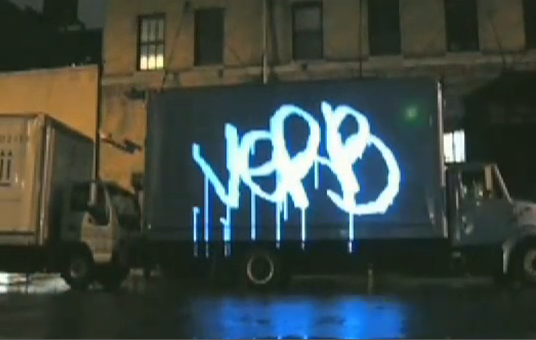 We have been fans of the Graffiti Research Lab for a number of years and we have been sent this video which is part of Vice's The Creators Project Series. It features James Powderly from Graffiti Research Lab discussing how they have been combining technology and graffiti to push their creativity using lasers, led lights and the Eyewriter project. There is also an interview with James on The Creators Project website here. Update: We have removed the video due to the rather annoying autoplay function that was embeded into the clip, but you can still view the video here.